20 Weeks of Fresh Local Produce ~ With CSA membership, you will receive 20 weeks of seasonal farm fresh produce. The season runs from June to October, with u-pick bonus available May into November. Check out our Produce List for a sneak peak of all the veggie goodness coming your way. Sustainable Growing Practices ~You care about how your food is grown, where your food is grown and who is growing it. We are committed to using sustainable growing practices and non-GMO seed and to enriching the land with compost and fish fertilizers. Our fields may not look pristine, but they won’t be laden with chemicals. 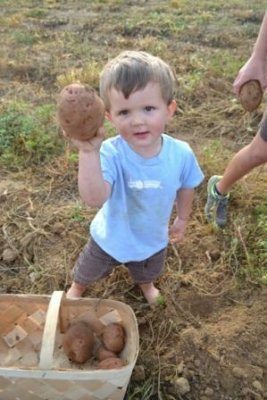 A offers as much weekly Family Fun on the Farm and u-pick experiences. Fruit ~ We do our best to include fruit in each CSA box. Many other CSA farms offer only vegetables. 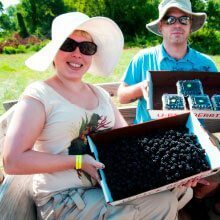 If your family enjoys strawberries, plums, peaches, blackberries, blueberries and apples, then we are the CSA for you! 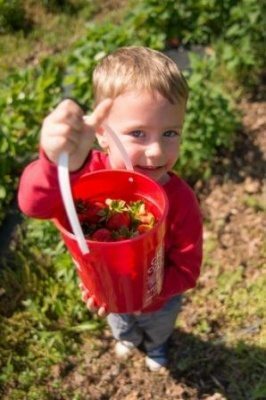 10% discount ~ Members receive a 10% discount on all farm parties, with a minimum of 10 paying children. Membership also includes a 10% discount on u-pick and Farm Market produce you may want to add onto your share. Vacation Make ups ~ When comparing CSAs, be sure to ask how vacations are handled. At GCF, we offer make-up shars for vacation weeks. Our easy online account management makes this a snap, or your can donate your vacation boxes to Loudoun Interfaith Relief Food Pantry and we will deliver them for you. Choose your pick-up day ~ We are flexible! For members picking up at the farm, you choose the day most convenient for you from Tuesday through Sunday. You can also choose to hand select your own produce for your share or enjoy the grab and go convenience of a pre-packed share. 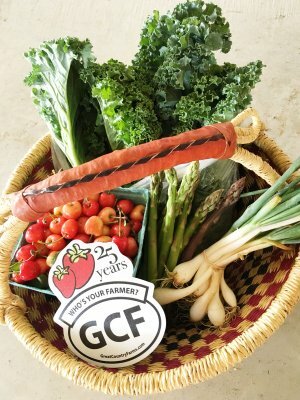 CSA Help Desk ~ We are adding a counter in our Farm Market to support our CSA members and help you use all the produce in your share each week. We’ll be offering demonstrations on juicing, canning, and salad sack preservation to help you get the most from your CSA produce. Festival Admission ~ Enjoy the farm to the fullest! Membership includes admission to our 14 festival weekends on the farm. This is a value of $10 to $12 per person per visit! Check out our website Event Calendar to see what is included with your membership! 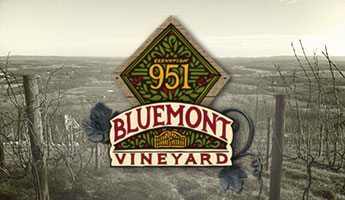 10% off Wine & Craft Brew Purchases~ Enjoy an exclusive 10% discount on wine bottle and craft brew purchases across the street at Bluemont Vineyard and Dirt Farm Brewing, our sister properties. Who’s ready to Eat Your Veggies?